As a young girl Margaret E. Knight carried with her a notebook labeled My Inventions. She made creations for her mother and brothers and when she was twelve she designed a metal guard to prevent shuttles from shooting off looms and hurting workers. Later she invented a machine that would cut and glue together a square-bottomed paper bag. Many of the paper bags we use today are still processed using Mattie’s invention. An inspiring story of a girl and woman who knew in her heart she was an inventor and never backed down from that belief. Even in a time when it was believed women couldn’t understand the complexities of mechanical equipment. 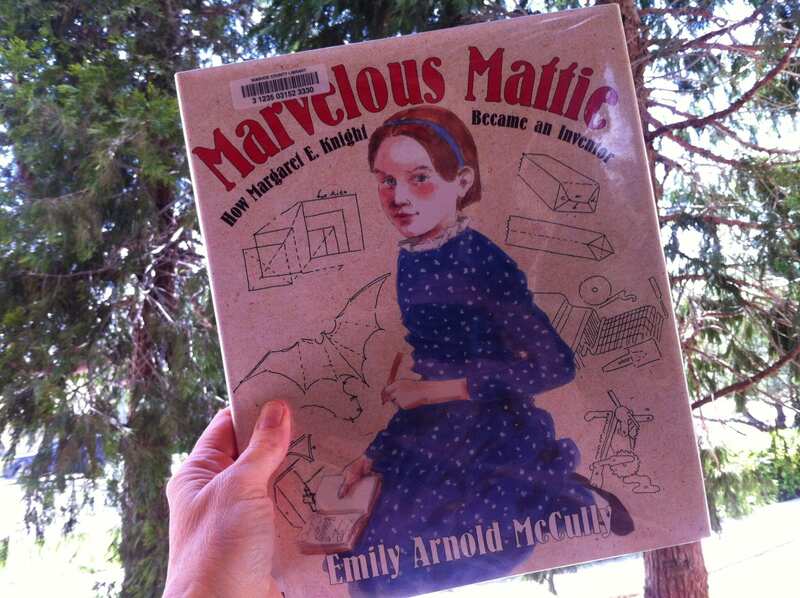 This entry was posted in Book Reviews and tagged book lovers, margaret e knight book, marvelous mattie book, we love books by Camilla. Bookmark the permalink.